Travel, even for recreation, has its inconveniences and frustrations. Flight delays, unaccommodating hotel rooms, security checks, and annoying travelers all add to the hassle of spending time away from home. But with business trips, all of those inconveniences you experience with family and friends that are made worth it in the end become mixed with the awkwardness of being in constant company of your coworkers. 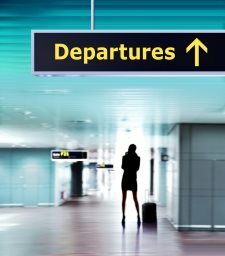 Unfortunately, for some, work trips come with the territory as you are bound to be instructed to attend conferences, company meetings, or other necessary events at some point. But business trips don’t have to be traumatic. Here are a handful of tips to help turn an unwanted trip into something a bit more tolerable. First and foremost, pack smart. Bring items that can help build a wall of isolation when you need to separate yourself from your company while tightly packed together. Ear plugs not only block out most of the ambient noise in your surroundings to help you get some sleep, they can also signal to your colleagues that you are not to be disturbed with awkward small talk. Headphones serve largely the same purpose but allow you to participate in a passive activity to help you pass the time more enjoyably with music. Make sure you pack an appropriate wardrobe, especially if you are meeting clients and coworkers at an airport, hotel, or restaurant. Your clothes can be comfy but also classify as professional. And if you happen to be sharing a hotel room with a coworker, don’t assume you will be supplied with a bath robe; bring your own pajamas to avoid potential bedtime embarrassment. Even trips to smaller locations don’t have to be completely monotonous and boring. Use online resources such as TripAdvisor to find quirky, local restaurants and other entertainment destinations. You may even want to turn your trip into a mini-sightseeing vacation by searching out unique landmarks and nearby tourist attractions. Doing something silly can help lighten the overall mood of the trip and serve as a good team-bonding experience. But no matter how much potential fun you may have on your trip, always remember that you are primarily there to work. Try not to embarrass yourself too much since some of what ensues may end up in front of your boss in the form of photos, emails, or phone calls from unamused guests. While there are several things you can do to actively help make your office trip more bearable, perhaps the most important involves a very personal characteristic: your attitude. Even if your flight gets cancelled, you experience a mix-up at the car rental agency, or your hotel is a dump, keep calm and try to find ways to solve each problem as it arises. Anticipate delays and plan around them and don’t let them get to you. If you keep smiling and exhibiting a good attitude, your coworkers will pick up on your tone and improve the general feeling of the trip.